My sister gets to attend a black tie affair in Salt Lake City. 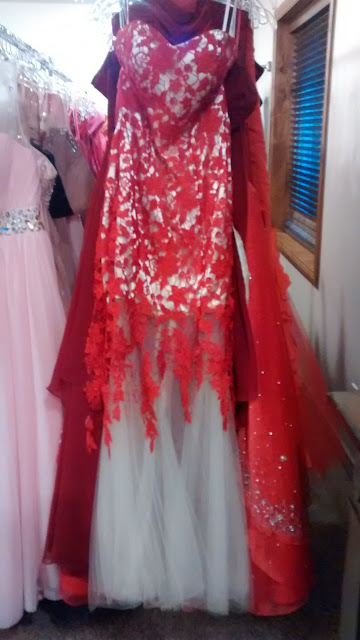 Last year she also went to the Marine Ball, and rented a dress from Ooh La La Dress Rental, so she returned to the same place for something special. I feel lucky that she invited me to a dress shop of sorts to preview some formal attire. I walked down the stairs into a basement, and was instantly wowed. 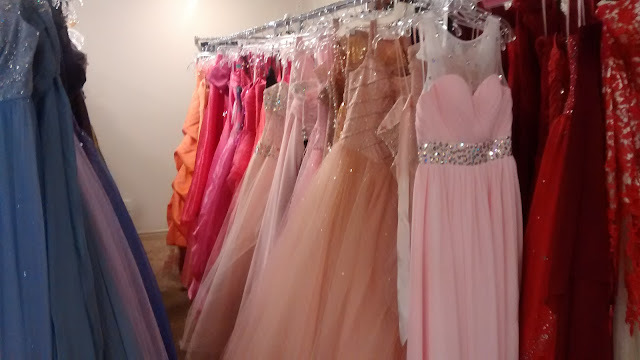 I was like a little girl in a candy store... but like candy for women: dresses - pretty, sparkly gorgeous dresses. 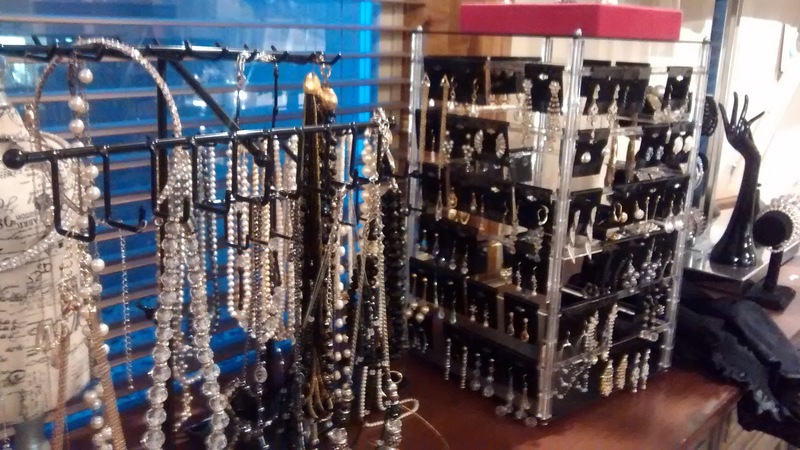 This particular showroom is owned by St. George mom Brittney Callister. 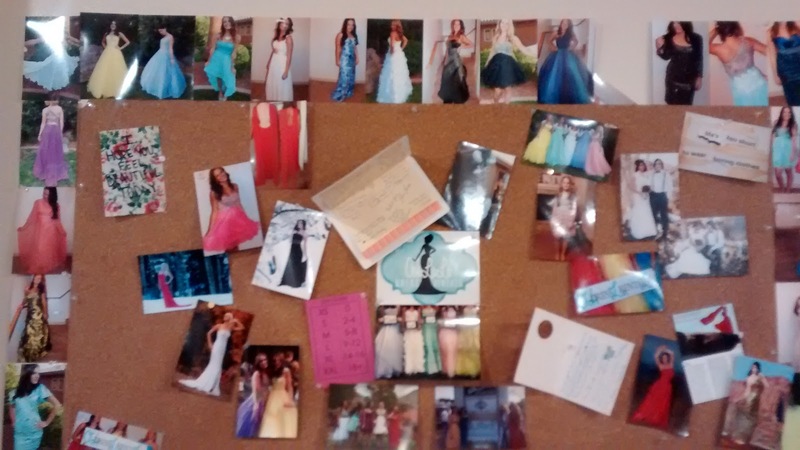 She started the business because as she put it, my then 16 year old step daughter had not many choices for prom dresses. 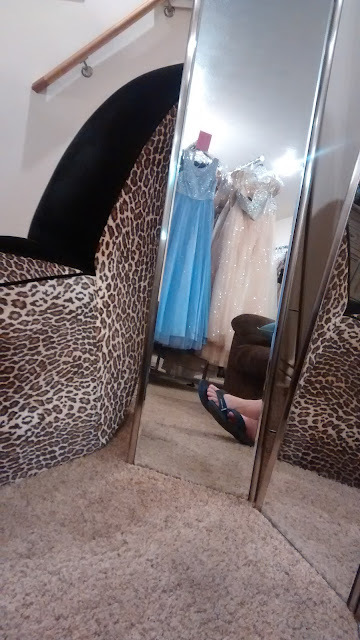 She searched around for a dress rental and there were none in St. George. Brittney had been looking for some kind of side business to run from home, and here presented itself the perfect business idea. 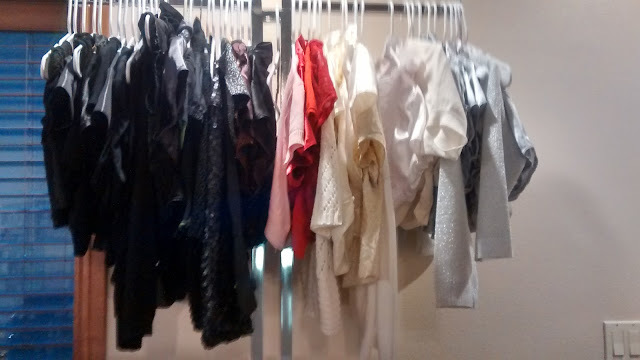 After some investment, Ooh La La Dress Rentals was born. 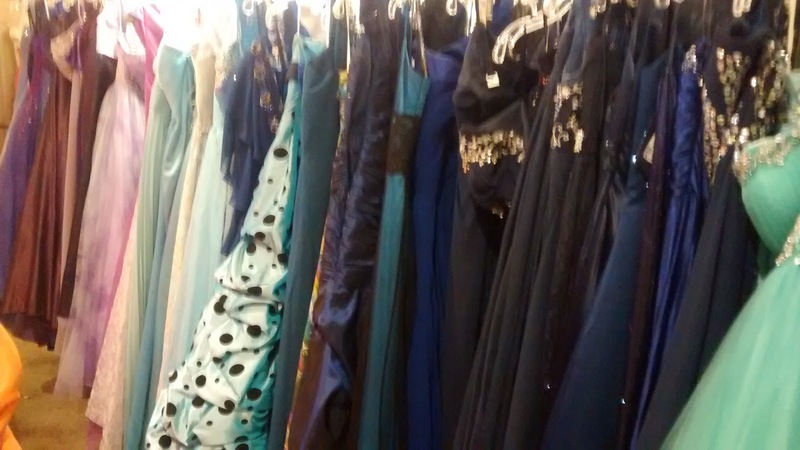 She now has around 700 dresses in the collection! They are arranged by color and come in sizes 0-20. She keeps up with the latest fashion trends and has what's hot now. 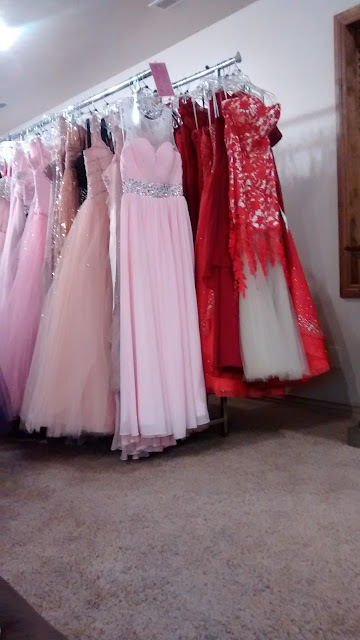 Short dresses rent for starting at $25. Long Dresses rent for $60. Accessories like jewelry, "sleeves" and bolero's cost only $5. The rental period is 4 days, check them out Thursday, return on Monday. Call for appointment. 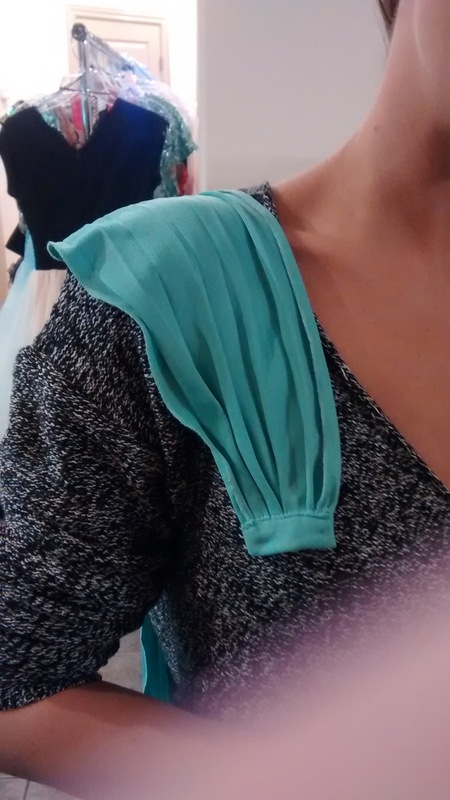 Okay, so she has these pieces of fabric she called "sleeves" and to me it was more like a thin shoulder capelet. Like something to make a dress more "modest". She had several colors and it just attaches to the front and back part of the dress - and it's a very easy way, without alteration for the dress to get that school approved look. I will post a photo example below. 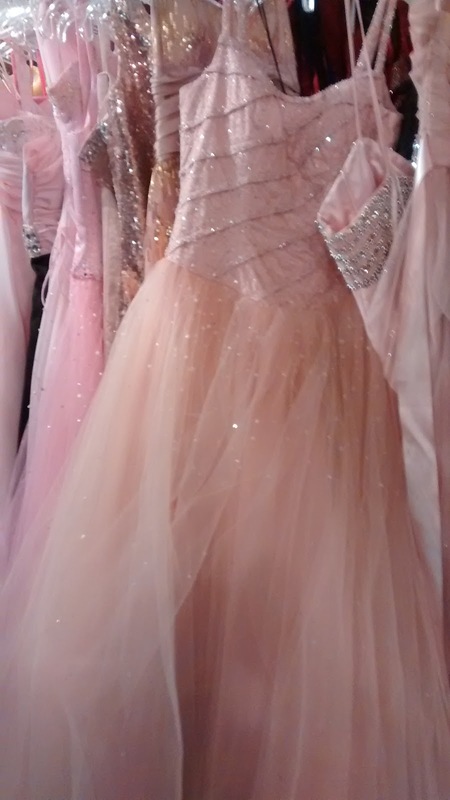 But anyway, I think there can be no shortage of reasons to rent a beautiful dress. 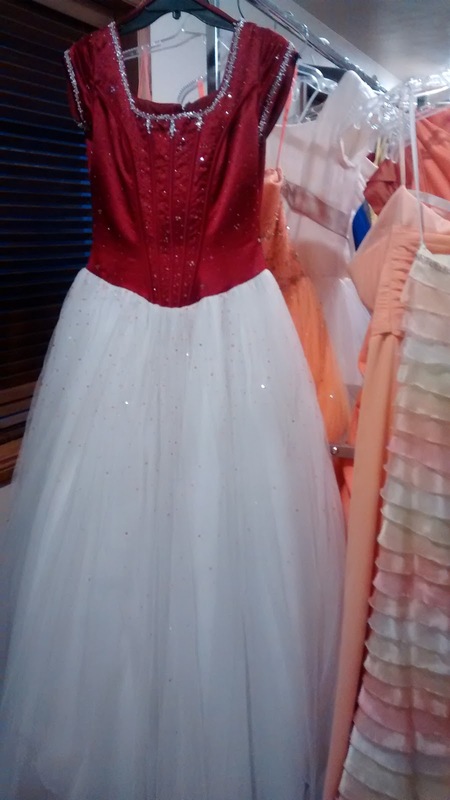 Most customers are teenage girls looking for prom or gala dresses, but I think a great excuse to wear a beautiful dress can be for a wedding, the Opera, even the Ballet is a great excuse. 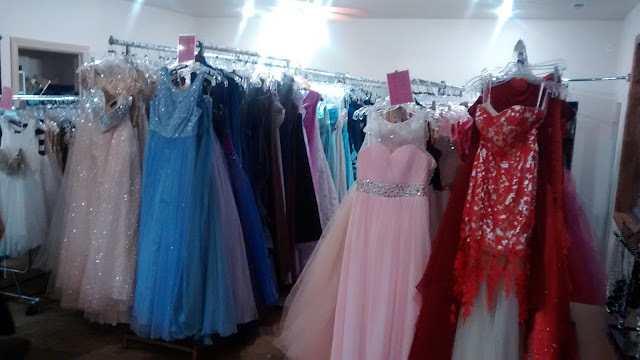 Ooh La La Dress Rentals is a business I like. Dixie Kitty approves! 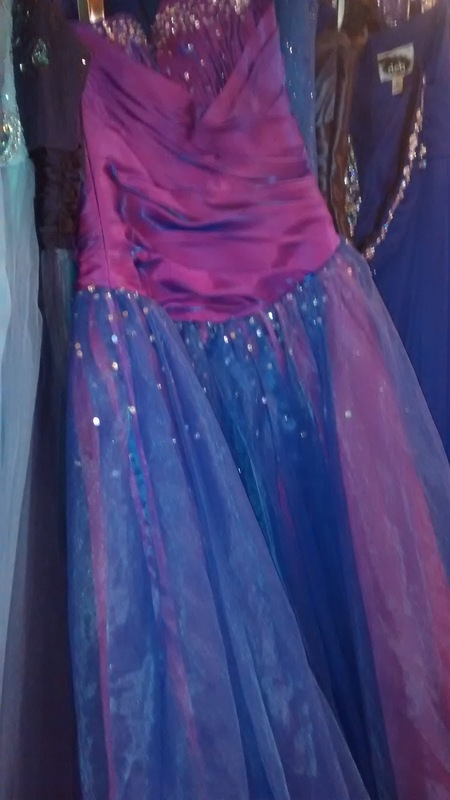 I love these kind of iridescent fabrics, great dress. This was probably my most favorite dress. Looks like a ballerina dress. All the shades of blue... I like that turquoise and black polka dot dress. I wish I had a better camera to capture all the pretty colors in there. Or that I had brought my personal photographer... sigh. This was a fun row! Thanks Dixie Kitty!! Update on our business, we are excited to be opening in an actual STORE on Jan. 5!!! Address is 567 S. Valley View Drive #110. Right down the street from our current location in Green Valley Market! Come see us! !